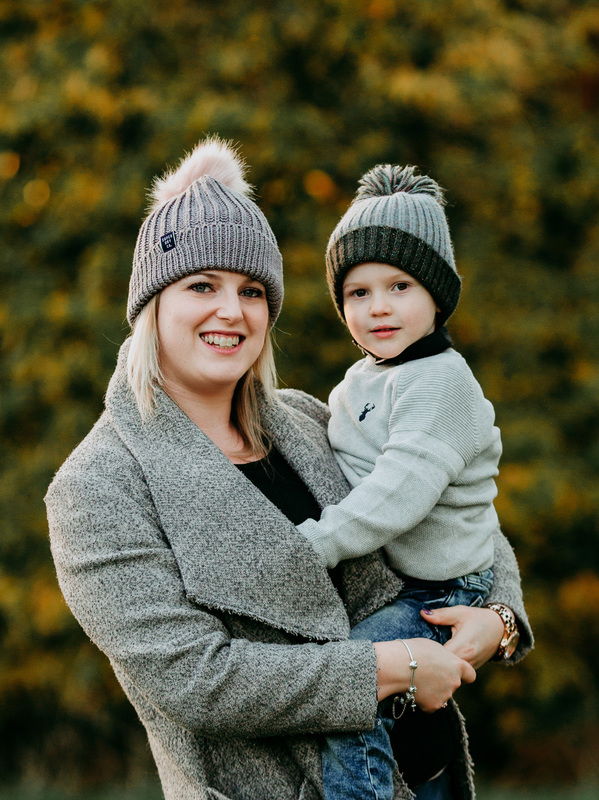 Little Violet Photography is an Ipswich photographer who specialises in baby and family photography. Offering newborn photography from her cozy boutique home studio, and family studio or outdoor photo shoots in Ipswich Suffolk and its surrounding areas. I capture your most precious family moments in my unique way, giving you images to truly treasure and pass down to generations. Are you looking for a photographer in Ipswich to provide you with precious memories of your expectant self? Little Violet Photography specialises in powerful, colourful, fine art maternity portraiture. With a large range of beautiful dresses, gowns and accessories you are sure to find something you love at my Studio. My expertise at posing you in a flattering way means you will receive gorgeous photos to look back on from when you were pregnant. Newborn photography is a specialist art, only those who have undertaken training in safety should be entrusted to handle your baby. I am also a Mum to two children, but being a mum alone is not a qualification in posing newborns! 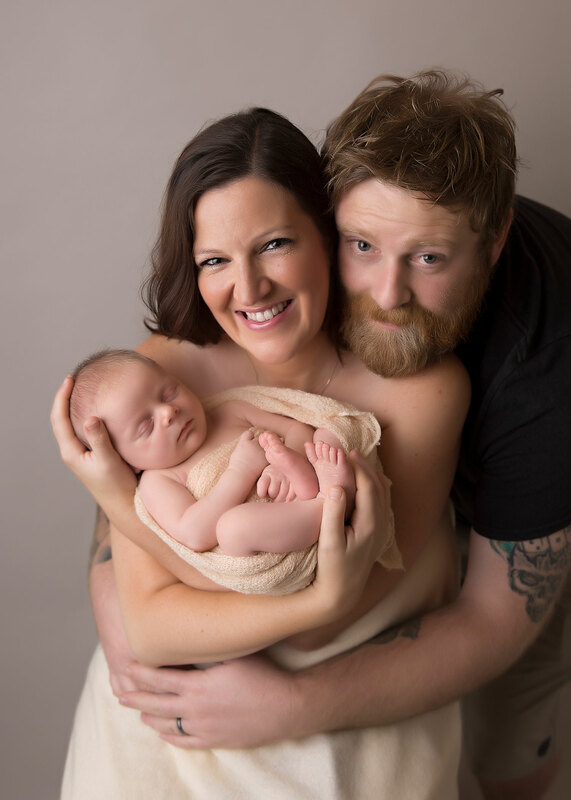 As a Newborn photographer I will hold, soothe and pose your baby safely and with care. Little Violet Photography is fully insured with Policy Bee and safety trained by some of the industry’s best trainers. My prop and outfit collection is massive; with beautiful unique pieces to snuggle baby into, a great variety of fabrics and furs to compliment your images and handmade outfits for little one to wear. My sessions are all baby-led, so we stop when baby needs a feed or soothe, and go at baby’s pace at all times. Before you know it your cute, sleepy newborn will change into an adorable baby whose personality is developing by the day. It really does go by so quickly, soon they are sitting up and babbling and taking in everything around them! Baby Sessions are aimed at parents who may have missed the Newborn stage, and are looking for some cute, smiley photos of their baby whilst they are still small. These sessions are typically short and sweet, with the focus on play time and natural expressions. Preferably baby can sit unaided, so we can pop them in or on a cute prop, but if they are too young for this we can go for a ‘tummy time’ session where they are either on their tummy or back. Their feet soon become fascinating to them so we can hopefully capture this! Cake Smashes originated in the USA but have quickly become very popular here in the UK. 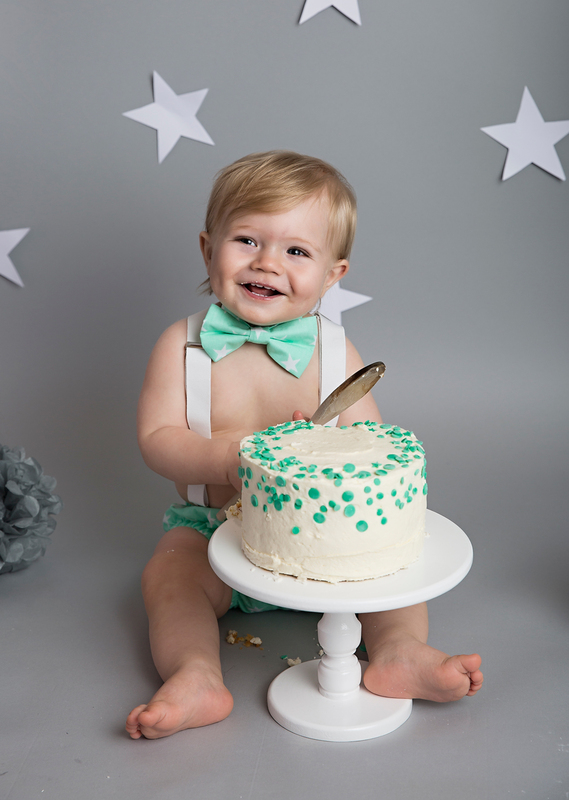 It is easy to see why as a Cake Smash is such great fun! We will start with some lovely portrait shots to mark baby’s special birthday, before we bring out the cake and it starts to get messy. Your Cake Smash session is bespoke and tailored to your theme and colour choices entirely. I am happy to make suggestions if you are struggling to decide, as there is a lot of choice. As well as the set up and outfit, I also provide a professionally baked cake. This is to ensure it matches the rest of the set up. My baker is happy to cater to any special dietary requirements. If cake is a definite no, we can substitute for other messy foods like fruit or jelly. At the end of the session baby cleans up in a miniature roll top bath with bubbles and rubber ducks! They always love this bit, and it means you get to take home a clean baby! Family photography is something that I adore doing; to be able to capture all the members of your family making memories is so wonderful. No one is missing behind the camera, and the shots are natural and fun. Depending on your requirements we can meet at an outdoor location to explore the woods, park or beach, or we can have a session at my studio. A Family Session takes about an hour, and if we are outdoors we make the most of the available light and natural background. I will advise you on booking of the most suitable times of day for outdoor shoots as this depends on the time of year. Studio portraits are offered all year round, and timing is as flexible as my schedule allows. Make sure you get your booking in as soon as possible to avoid missing out as I do tend to get booked up fast. © LITTLE VIOLET PHOTOGRAPHY 2019. All rights reserved.